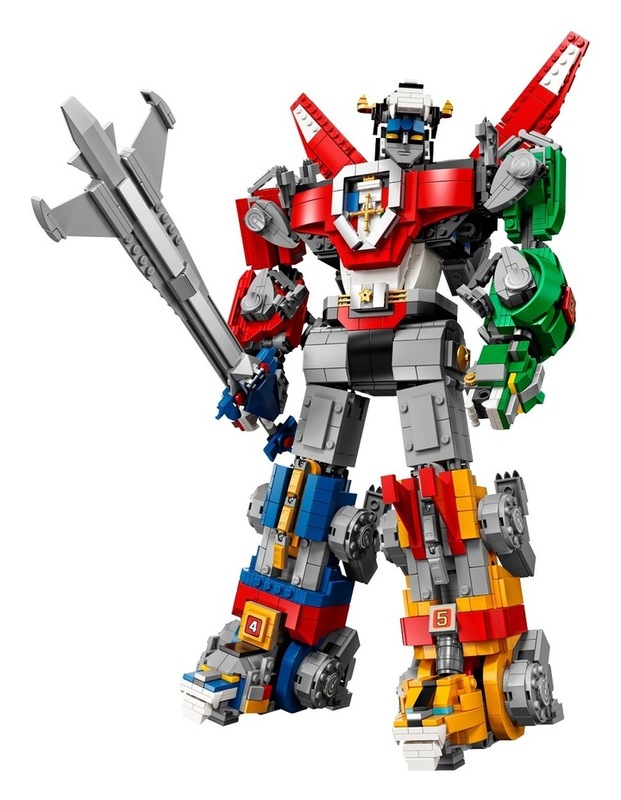 Its time to defend the universe so get ready to form LEGO Ideas 21311 Voltron, the biggest buildable LEGO mech ever! 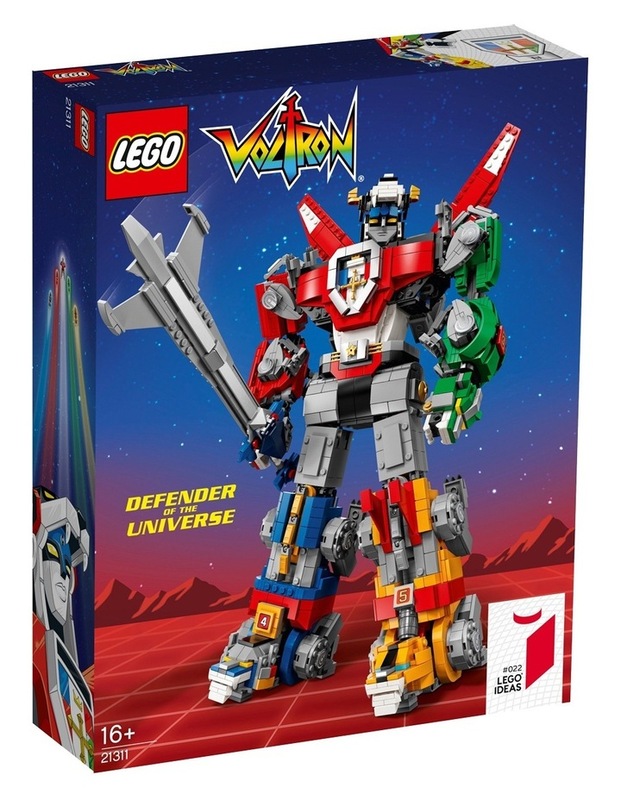 This awesome set features buildable and highly posable black, blue, yellow, red and green lions with specially designed, extra-strong joints to combine them all and create the Voltron super robot, plus a huge sword and shield that attach firmly to Voltron's hands. 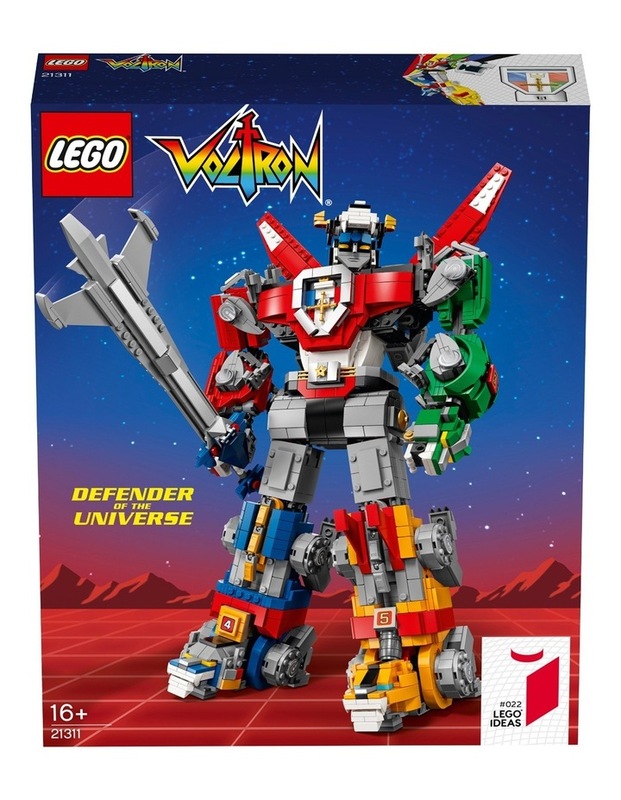 Ideal for display or to recreate thrilling action from the original 1980s animated Voltron TV series and the modern DreamWorks Voltron: Legendary Defender series. Play with the lions individually or combine them using extra-strong joints to form Voltronthe black lion forms the head and torso; the red and green lions form the arms; and the yellow and blue lions form the legs. Also includes a sword and shield (each with silver-colored elements) that attach firmly to Voltrons hands. Includes a booklet with building instructions, plus information about the sets fan creator and super force of LEGO designers. Voltron measures over 15 (40cm) high, 5 (14cm) long and 8 (21cm) wide. Black lion measures over 6 (17cm) high, 8 (22cm) long and 5 (15cm) wide. Yellow and blue lions each measure over 3 (8cm) high, 8 (21cm) long and 3 (8cm) wide. Green and red lions each measure over 3 (8cm) high, 7 (18cm) long and 1 (5cm) wide. Voltrons sword measures 11 (29cm) long. Voltrons shield measures 6 (16cm) in diameter.